It’s no secret that we met in a backpackers’ hostel, and fell in love in a hostel. Since then, we’ve stayed in many hostels in Sri Lanka, most for us, had high standards and offered comfort and quality on a budget. The result? 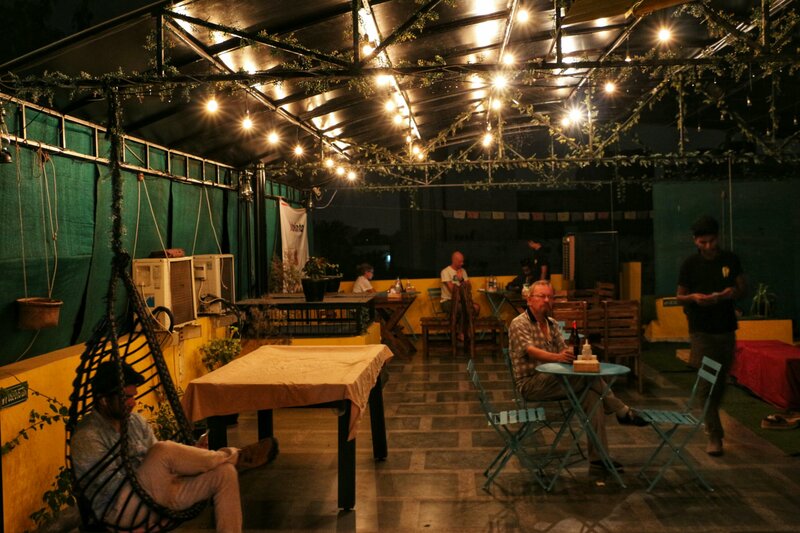 We started lovin’ hostels even more. So we decided to check out a few hostels in India, mainly in Delhi this time. 13th. 13 hours. Yep, quite right. We were back in Delhi after a 13 hour overnight bumpy bus journey from Manali. And a metro ride to Saket from ISBT Kashmere Gate with one heavy hand luggage. Since we kept our GPS on, it wasn’t that hard to find the hostel. The hostel is situated in a small alley near Saket Metro in an apartment/housing complex. The reception is on 3rd floor and there was no lift. So what’s next? We climbed to 3rd floor with our kinda-heavy hand luggage. That was fine. Apart from the fact that we pretty much expected the hostel staff running around to at least offer us their help. Maybe, just even ask? And then here we are at the reception with a group of guys overcrowding the reception area and finally after 5 minutes, we had their attention. Yet, none of them was expecting us. According to the email we received, your beds would have been blocked and Anubhav at the reception would coordinate with you. Yet, it wasn’t quite like that. We were asked to wait at the reception. After about 20 minutes, we were given two bunk beds in an untidy bunk room. We literally thought it was temporary until someone checks out and we’d finally get our blocked beds. But, no sugar plum, here, one cannot hope for good things. It was a 6 bed dorm, with a few staff members permanently residing in it. Our lockers were basically a cage under the bed, with no padlock. The hostel also switches off the AC from 11am-7pm. We do understand it’s a good step taken towards protecting our Earth, and you become a tiny part of eco-friendly and responsible travel. However, Delhi is a chaotic, dusty city with boiling temperatures during the day. Imagine, it’s one at noon and you just landed after a long flight, came straight to your hostel to sleep and it’s hot inside the room. It would have been quite unpleasant, sugarplum. There were fans but it still does get sticky and hot. We loved the murals on hostel walls, and their pretty cool rooftop. It looks magical at night. The staff though however, was quite unfriendly to us. Apart from Aadish, who was friendly and doing a two-week internship at the hostel. On our second day, we met an old uncle who was looking for the hostel on our way to the main road. He had a suitcase and none of the hostel staff came to offer help. Nathan offered help and carried his luggage to 3rd floor. Our room was untidy, however, we managed to have a goodnight’s sleep. One thing we really liked about the hostel and decided to not change our place was the convenient location. It was just a 2 minute walk from Saket Metro Station. Saket falls on super convenient yellow line on Delhi Metro. And Delhi Metro is fabulous. It’s kept clean, nicely air-conditioned, faster than any other transport mode and takes you from one place to another in a few minutes. And it’s super affordable. Cheap, to be exact. Here’s the thing. 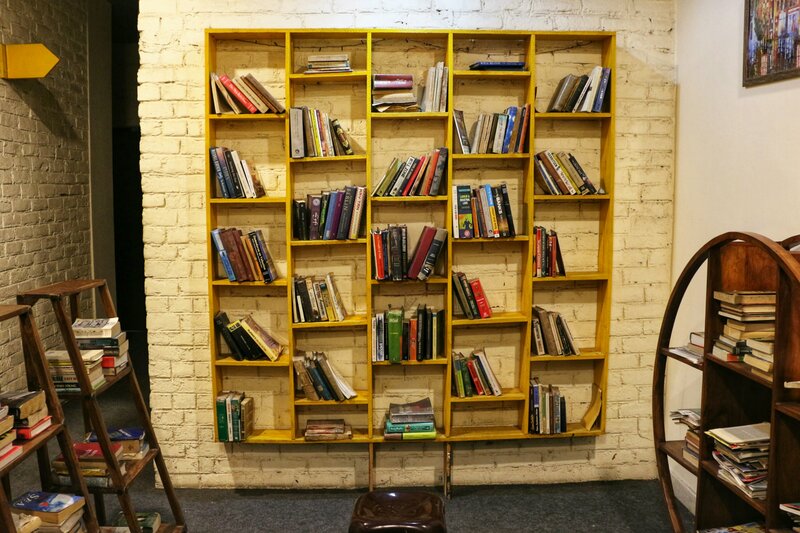 We found The Hosteller, New Delhi to be an “old-school” hostel. It wasn’t quite the modern, comfortable yet affordable backpackers’ hostel we were looking for. We also found out that the hostel culture in Delhi isn’t as good as the one we have in Sri Lanka. So if you are looking just to crash out for one night or a few, have a lot of in-city traveling to do, and want to do it affordably, stay here.